2019 UNAA WORLD SERIES CHAMPIONSHIP FINALS will be at Mystic Lake Center in Minnesota, on July 26-28, 2019. More than just an amazing world-class competition, but a world-class experience! Thanks to Conquer Ninja Gyms! Hotel, Restaurants, Golf , Fitness Center and Casino all ON SITE!! The Days for each class are assigned as noted below. PLEASE MAKE NOTE OF YOUR DAY and plan accordingly. REGISTRATION For Time Blocks WILL OPEN AFTER JUNE 30- (the last UNAA Regional) to be fair to all athletes coming in. Times are in Blocks – Athletes will choose a time block. It is first come first serve so once a block fills up, athletes must choose another time block. Prelims will be run on a point system. Competitors will have one reattempt for the entire course. Competitors will be awarded one point for every obstacle completed successfully while the clock continuously runs for the duration of their run. 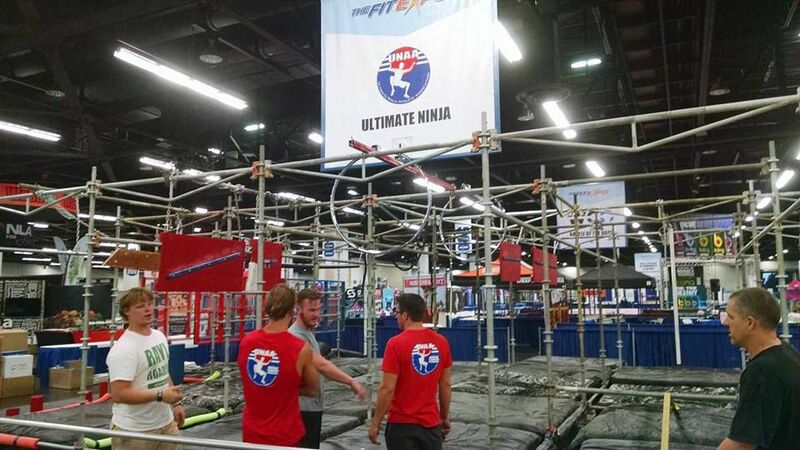 Competitors have one RETRY and must use it on the FIRST obstacle failed. The RETRY is worth 1 point, so if entire course is completed without using RETRY, an additional point is awarded to total obstacle points. Each obstacle is worth 1 point. Top score is whoever achieves the most points, paired with the fastest time. Finals will be run with 1 RETRY for the entire course. Time will be recorded after each obstacle is completed. Fastest and furthest wins. PLUS, PRIZES for TOP 5 in each class!!! Please report no less than 1 hour before your run time for check in. Concessions will be available at event center. NO Coolers allowed. All competitors who can stay through the end of the Finals will get to try the obstacles on the Finals courses. Open play!! Hour 1- for 9 and Under, 13 and Under, and Amateur Men/Women. Hour 2- for 11 and Under, 15 and Under, 40+, and Pro Men/Women. Also, there will be skills competitions on site and at some of the Conquer gyms throughout the weekend for all competitors. If you have any questions, please contact us on our contact page. Some information subject to change without notice.